Steven Spielberg's Ready Player One made its debut at SXSW last night and early reviews for the blockbuster adaptation are sounding pretty good. The rest of us will find out in a couple of weeks, but already eyes are starting to turn to what he'll be directing next. Last we heard, Spielberg's next two films were already accounted for. He'd start with Indiana Jones 5, followed by a screen version of Broadway musical West Side Story. However, Variety throws something new into the mix. 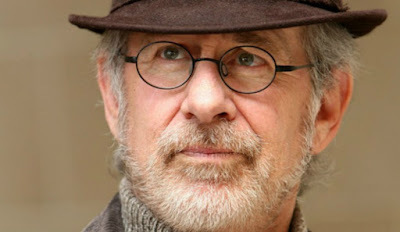 They report Spielberg recently held a table read with "top talent" for a secret project, and it could be next after Indy 5. We don't know who attended, but given that it's Spielberg we can guess there were some big names there. We also don't know for sure what the project is. Variety says it may be a biopic of composer and conductor Leonard Bernstein, the one who wrote the music for West Side Story. If that is the case, would Spielberg even want to do a West Side Story adaptation? Or will his musical itch have been scratched? That door is definitely open, and Spielberg has been known to change things on the fly depending on his level of interest. Right now he's expected to begin work on Indiana Jones 5 at the beginning of 2019, and we'll see what happens from there.